40 km north-east of Hämeenlinna, L. Vähä-Roine 25 m (length 3 km, width 1 km), shallow, hard sanded clay bottom, own boat. 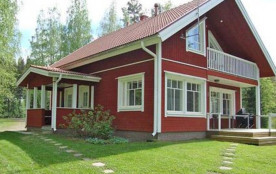 Log-panelled chalet 2002, living room/kitchen, bedroom with double bed, upstairs 2 bedrooms with 2 beds in each, upstairs hall area with convertible sofa, dressing room, washroom, sauna renovated 2016 (elec. stove), 2 x porch. 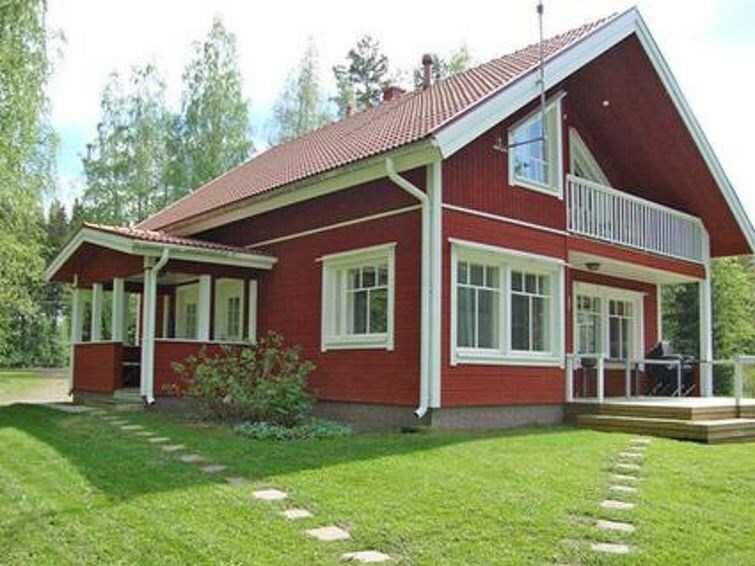 Chalet with all conveniences, three bedrooms, spacious, well-lit areas. Flat yard with lawn, suitable for children, as is the shore. 2 x TV. By separate agreement cot available. By separate agreement / payment electric motor for boat available. Boat ramp 1,5km from cottage. Horse riding 11 km away.